Me: A Kid’s Diary by Tinybop is an iPad app that encourages kids to express themselves. I have previously reviewed Creature Garden by the developer Tinybop. - Create and accessorize avatars for yourself and all the people and pets in your life. - Your avatar responds to you, expressing emotions you can capture and share. Send an animated drawing to your friends or save it to your camera roll. - Ask and answer hundreds of questions about yourself and all the important people and places in your life. - Decorate your photos with fun stickers and words. - Create drawings with different pens, brushes, and colors. - Record stories and sounds. - Write on pictures and photos. - See your answers turn into animations and other surprises! - See everything you have created and recorded in one swipe. - Safe space for self-expression. Nothing is shared unless you choose to. - Original artwork by Ana Seixas. - Open-ended activities with no rules. Curiosity and creativity are rewarded. - Fun for everyone: families can play and learn together! I love finding apps that encourage kids to create. Me: A Kids Diary does that by providing prompts that ask kids questions. They might be asked to choose a colour that makes them feel happy. They might be asked to draw something that makes them feel sad. Or to tell what they want to do when they grow up. As well as drawing or choosing, responses to questions can take the form of recording orally or in writing. There’s immediate fun from the start when you get to create an avatar to represent you. Mine (the beautiful bespectacled one in the image above) looks a lot like me, which is very satisfying. The developers have designed this colourful energetic app with kids in mind, supplying silliness as well as serious stuff. Kids can build avatars for their whole family, even their pets. I also liked how slick the navigation is - kids are guided throughout and everything just works. It’s great to see the emphasis on safe sharing, but, as always, I believe young children will benefit most from an app by sharing activities with a parent. You can get more of an idea about the app in the video below. Me: A Kid's Diary by Tinybop from Tinybop on Vimeo. 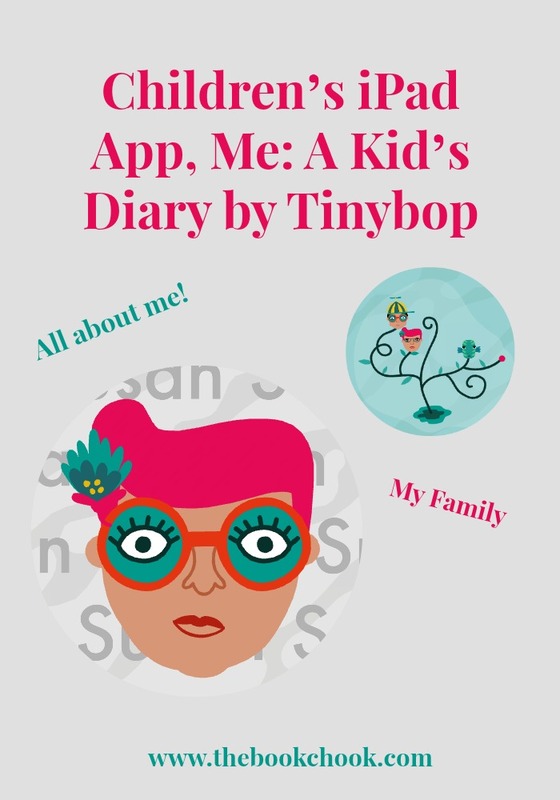 I’ll be adding Me: A Kid’s Diary by Tinybop to my List, Creating with Children and iPad Apps.